Faces at the Edison Estate Garden Show; and watch out for falling figs. 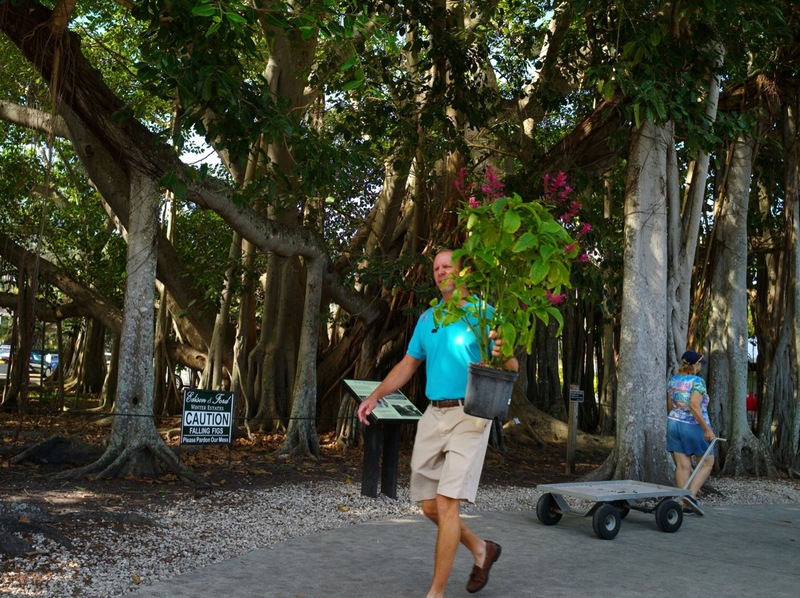 Southwest Fla is where you find guys in pastel shirts, khakis, and dock-siders without socks, buying flowering plants at a garden show. He is probably from Naples. This was the Edison Garden Festival where large crowds come to gaze at a huge variety of flowering warm-weather plants. Behind this frat guy is a very old banyan tree. The sign says, “Watch out for falling figs.” What are the odds that I would be hit in the head by a flying fig? But anything can happen. In France a bird pooped on my hat. Those Frenchies don’t like Americans much. Nearby are the botanical labs where Edison and his pals Ford and Goodyear worked to find plants to use to make rubber. Meanwhile Eileen found this flower. It is Abutilon: Chinese Lantern plant. Edison Garden Festival. 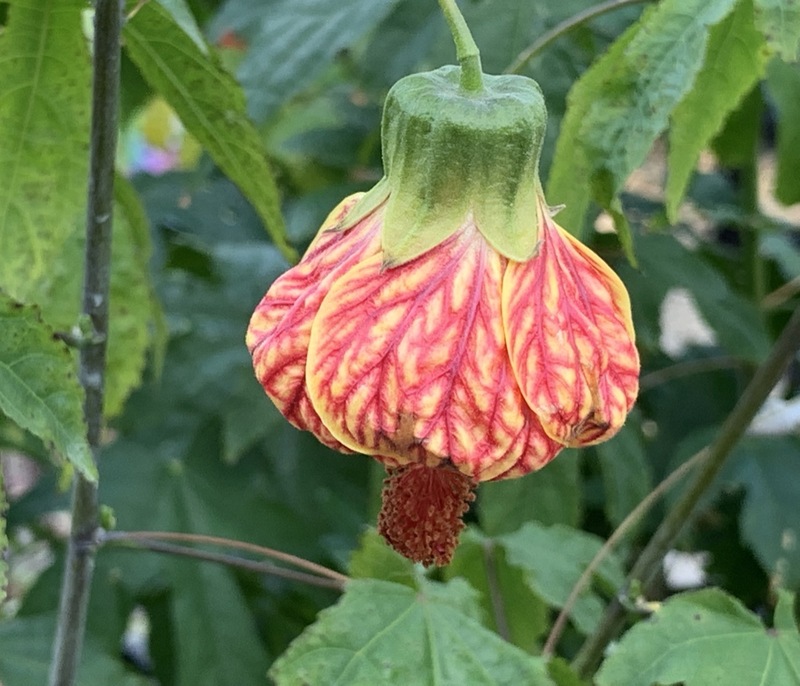 Abutilon Feb. 9, 2019 Blogfinger.net. Eileen Goldfinger photo. LINDA RONSTADT with a Gershwin song from her album What’s New.